This, a deciduous suckering shrub, native to the Pacific coast of North America making a straggling untidy plant. 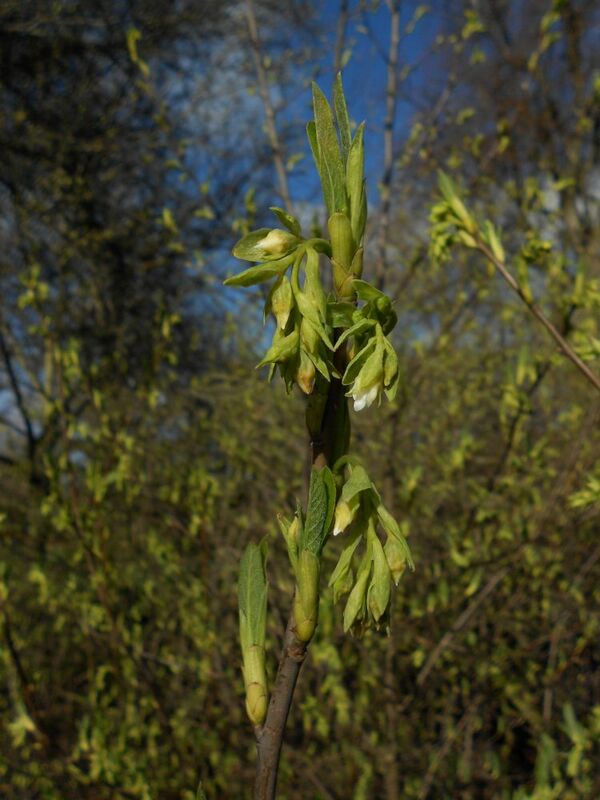 Oemleria cerasiformis, leafs out from the last days of February. The unfurling foliage is of theOemleria cerasiformis lightest green and with a smell of fresh peas. 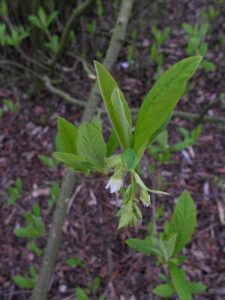 The embryo flower racemes slowly elongate and then on a sunny day the first colour shows with a hint of white petal exposed. 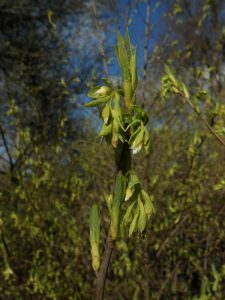 A dioecious plant with male and female flowers on separate plants scented of spice. Ours is covered in male flowers so no chance of the pendulous cluster of plum like fruits appearing in autumn.